Sold by Fun with Books and Board Games and Fulfilled by Amazon. A visual sampler, including step-by-step demonstrations, for experimenting with inks, watercolor, acrylics, oils, pastels, and unusual materials to achieve hundreds of different effects to use in your paintings. Looking for new directions in your artwork? Between the covers of ArtEffects you'll find hundreds of fresh ideas that will spark your creative instincts. ArtEffects is divided into five sections that cover the most-used painting mediums: inks, watercolor, acrylics, oils, and pastels. Each section begins with a general discussion of the specific medium's unique properties, physical makeup, and methods of application, followed by a list of various materials that can be used in combination with the medium. Then comes a dazzling display of examples (some with step-by-step demonstration) of the almost limitless textures and effects you can achieve by combining one medium with another, or with the myriad papers and art-related products on the market today, as well as with household and other unexpected materials such as cornstarch, string, and plastic wrap. 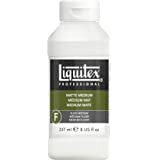 Here, you can easily find out how a specific medium will perform in combination with, for example, sand, gold gouache, or acrylic modeling paste, and how that medium can be used in airbrush, stenciling, and monoprinting techniques. With more than 400 full-color examples of effects that run the gamut from the traditional to the experimental, ArtEffects is an extraordinary visual reference that belongs in every artist's studio. Jean Drysdale Green was born in Perth, Western Australia. Her special interest in art began in 1969 when she joined a local artist's group, and subsequently she studied at Perth Technical College, Churchlands College of advanced Education, Stanhope Institute (in London, England), and Claremont School of Art. She has won numerous awards for her paintings, which have been shown at the Bedford Way in London, the McLelland in Frankston, Victoria, and the Burswood Casino in Perth. Her work was also featured in a one-woman exhibition in Perth. From 1981 to 1988 Green was the co-proprieter of a retail art supply business in Perth. 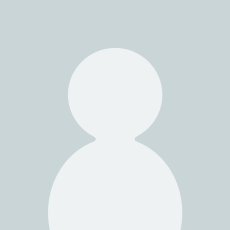 She has participated in National Art Materials Trade Association conferences, as well as in papermaking workshops in both Japan and Australia. She is the author of Five Minute Flower Painting (Sydney, N.S.W. : Australian Artist Magazine, 1992), and in 1992 was a guest lecturer in mixed media at Curtin university in Western Australia. Currently she is president of the Watercolor Society of Western Australia. 5.0 out of 5 starsUnexpected find and Amazon had it! While holding a painting session at a student's home I saw this book. After looking through it, I immediately ordered my copy. While I was ordering my copy at my friends home, the other students were looking through it too. That day we ordered 4 more copies!!! I teach painting (Oil, Acrylics and Pastels) through a local community college and I am always looking to have my students experiment and grow. Some are very timid but after looking through this book several said..."Oh I want to try that!" That tells me that this book is a great teaching tool. The experiments are easy and uncomplicated...ok maybe one or two...but simple enough to get them trying. I did not expect to find such a great book sitting on my student's coffee table. Now maybe she'll start using it!! I know we will use many of the projects in our class. i sent a copy to a former student and this is what she wrote to me about the book. "The beautiful book has arrived in great, excellent condition and packaged very securely. Jim and I were away for a wedding this weekend and It was on the deck when we got home last night. It's fascinating! There are so many different things to do and I can't wait to try them. Thank you so much, I really appreciate the book and I will send pictures of my attempts. 5.0 out of 5 starsInnovative techniques! This is the book that will unleash infinity for you, if you are trying to get outside the box. I don't understand how someone thought this wasn't for artists. If these techniques are combined with any traditional skills, watch out! Liquin, made by Windsor and Newton, is a medium used to thin oil and alkyd paints and speed their drying. Used with watercolor however, it acts as a resist, pushing color around, and can result in some quite exciting effects. In the Example shown below, I put down a watercolor wash first and, while it was still wet, painted the lizard with a brush dipped in liquin. Polystyrene (foam plastic) is an interesting material to apply paint with, lending its texture to the depiction of various objects, such as brick walls in the example shown at left. To get this effect, I use a scalpel blade (heated first in a gas flame) to incise the brick pattern in a piece of polystyrene. (You can create any pattern you desire this way. )I then brushed watercolor onto the plastic and stamped it onto my paper. This technique certainly saves time when a wall is required in your painting. Although the design at left looks as if it had been done using a batik process, in fact lynne Tinley created it simply by painting on a piece of black fabric with thinned acrylic paints. The black lines you see are the color of the fabric; the artist simply painted around them, negative fashion. This book has all kinds of mixed media effects; some I will never try, and many I will. 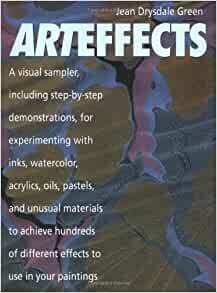 Great for the library of anyone who does mixed media and loves to experiment. 5.0 out of 5 starsGreat Book, gives lots of ideas!!! I love this book! It gives lots of ideas on many different ways to create you own masterpieces, such as techniques on using inks, watercolors, acrylics, oil, pastels along with other materials and mediums to achieve hundreds of different effects. It should be used to create your own pieces of art and is not a copy this and you will get that, kind of book. It is a how to achieve this type of look in you art book. 5.0 out of 5 starsVery comprehensive subjects. This production was just what I was looking for - some of the effects were things I had learned and forgotten. Once reminded I have used some of the effects in paintings and experimented with new ones. I have several other reference books but this covers nearly all mediums with very comprehensive details about the effects in each medium. A "must have" for any artist seeking to make a difference with their art. I LOVE this book! It has so many different ideas that make you say, "Why didn't I think of that?". It gets my mind thinking of other ideas to try. It has lots of pictures and the way that its written is very easy to understand what the author is trying to teach us. I highly recomend this book! A friend recommended this and I think it would be good for someone beginning in the field. I was looking for more information about alcohol inks. Many approaches to art affects.